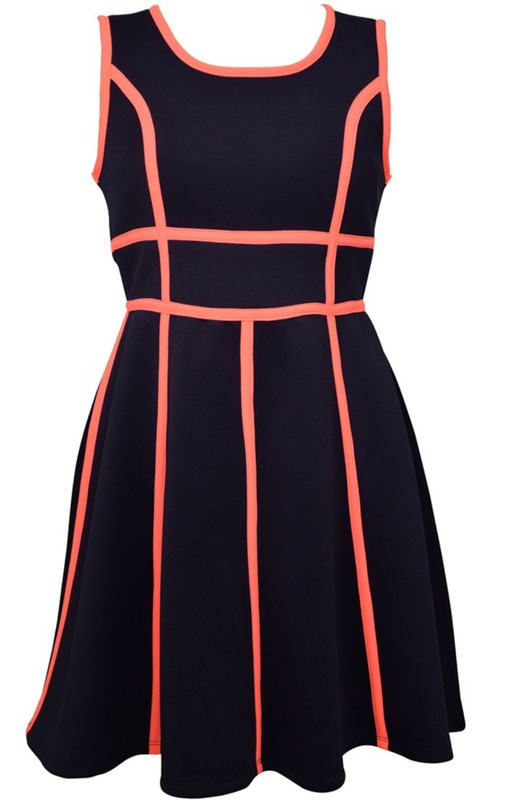 Fabulous girls navy stretch dress is piped with coral trim for a chic modern look. Of polyester and spandex stretch knit. Machine washable. Closure at back neck. Sleeveless.